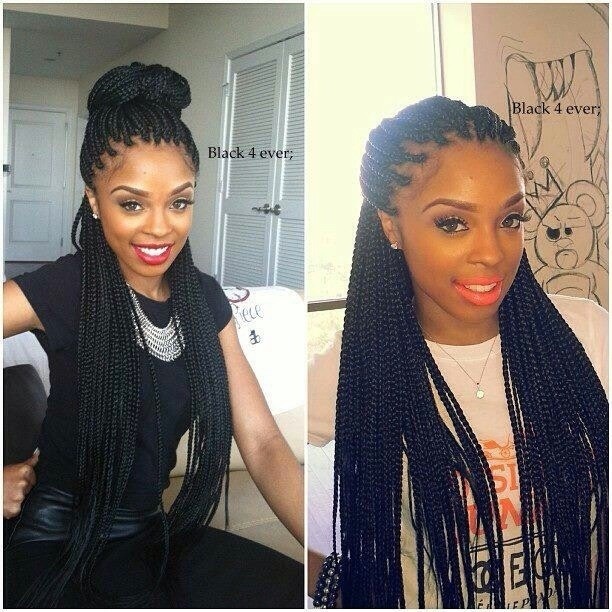 Ladies with natural African hair type must know that box braids are the life savior for them. For sure, boosting natural hair is also good, but imagine so much time spent on managing the extra curly natural hairstyles of black women. If you get tired of that at a certain moment you have an excellent solution to have rest for a month or even two and enjoy your life and beautiful looks. 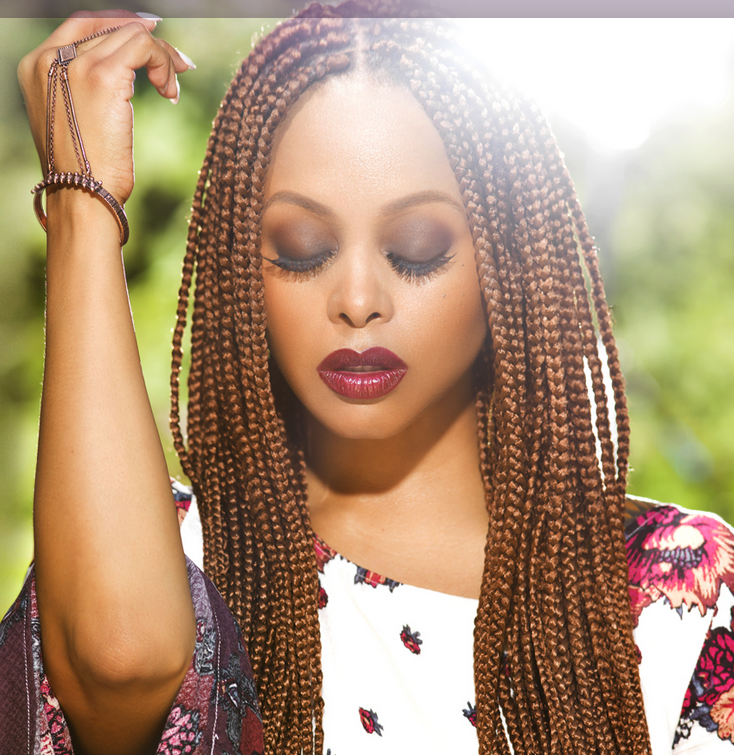 Among the African braiding styles and techniques, small box braids are the ones that make you feel like having natural hair, cause they have movement and they are quite soft and tender. Besides, they can the excellent base for numerous hairstyles from easy ponytails to exquisite Mohawk hairstyles. For sure you must get ready that to create small braids will take you time, a lot of time. If you are afraid of having headaches because of the tight small plaits, you can ask your stylist to create the braids a bit loose to avoid any inconvenience. 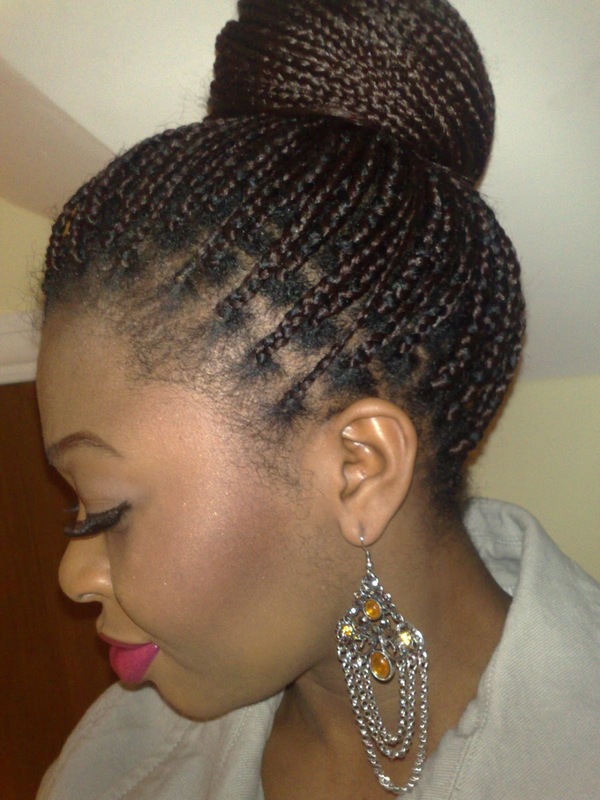 Mind that unlike big box braids, small ones are made with less hair extensions, so they are much less heavy. 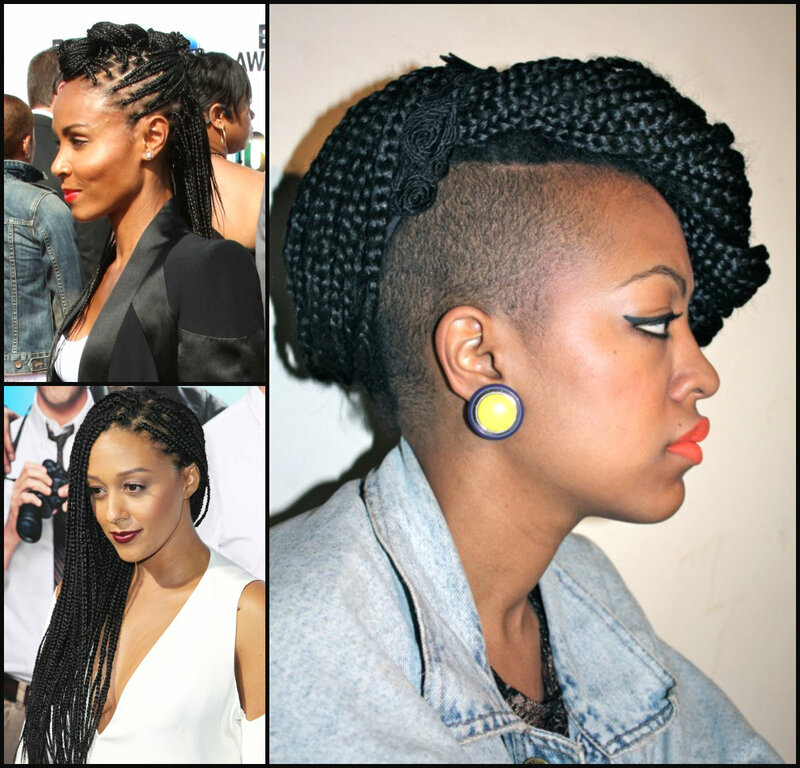 If you adore wearing long hairstyles, small box braided styles will make you a perfect company. The flexibility of small plaits will allow you have the amazing looks like in the above pictures. Silky, glossy, almost like natural straight hair, even cooler. With long loose braids you can look both funky, and elegant if you sweep them to one side and wear with an exclusive evening gown. 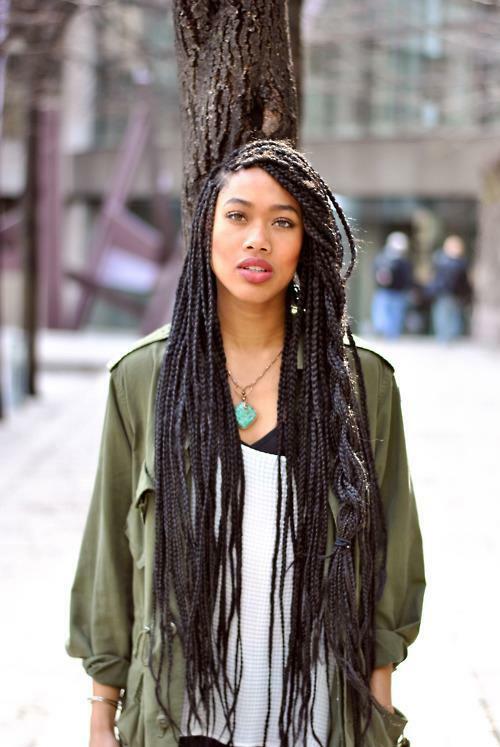 When it comes to box braids, the question – how to style box braids – becomes very actual. The diversity of possible looks can astonish even the most skilled hair gurus. 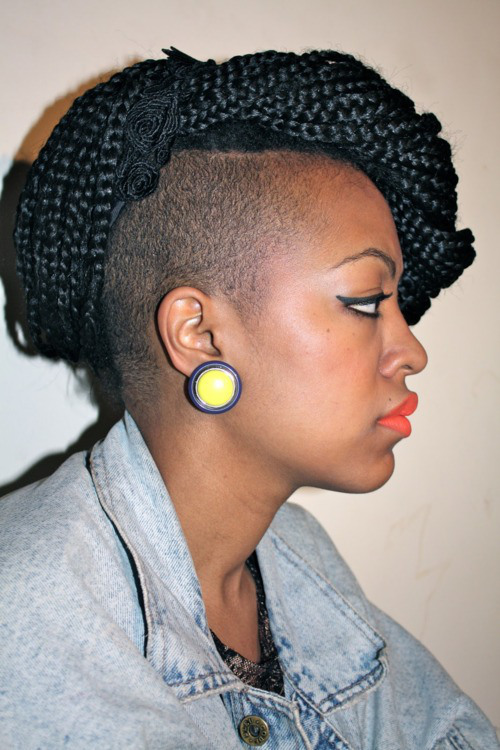 Look at the above shaved sides Mohawk hairstyle, or at the fauxhawk created with small box braids! It seems to be endless source of inspiration. 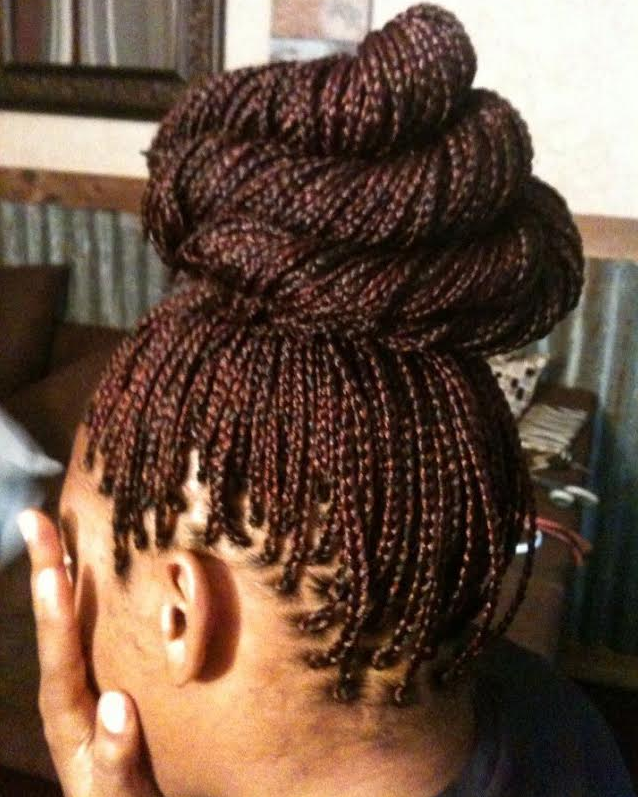 One of the most popular hairstyles for black women are huge buns created on twists or box braids. They are really impressive and can be suitable for any event, for a casual party, for an official dinner, or just for your daily life. 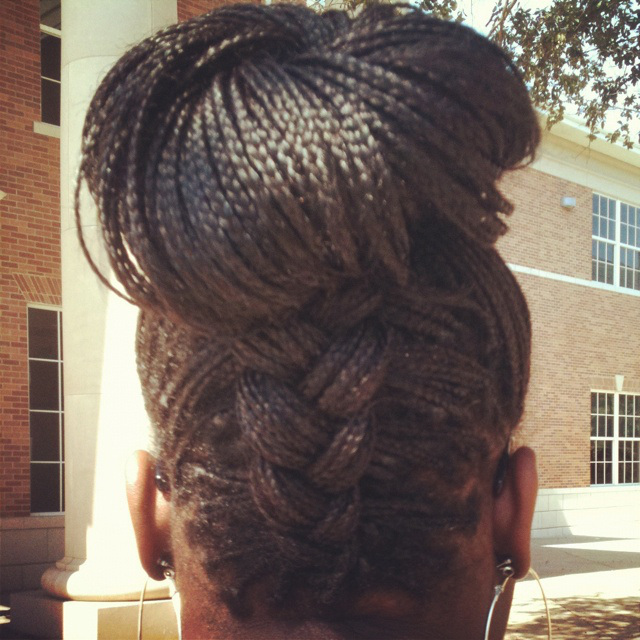 Some become creative even here and create reverse French braids on small box braids, and end it all in a high bun. 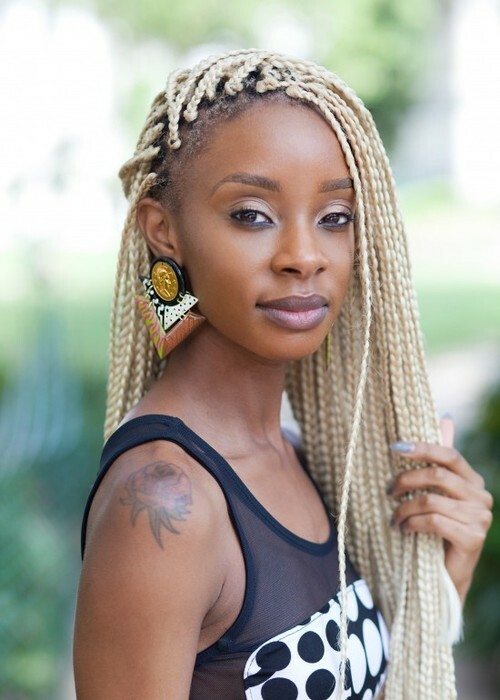 Another good thing about these protective styles, is that you can play with colors and have the extensions of any shade and even with highlights, and even completely blonde that make impressive contrast with dark skin tone. 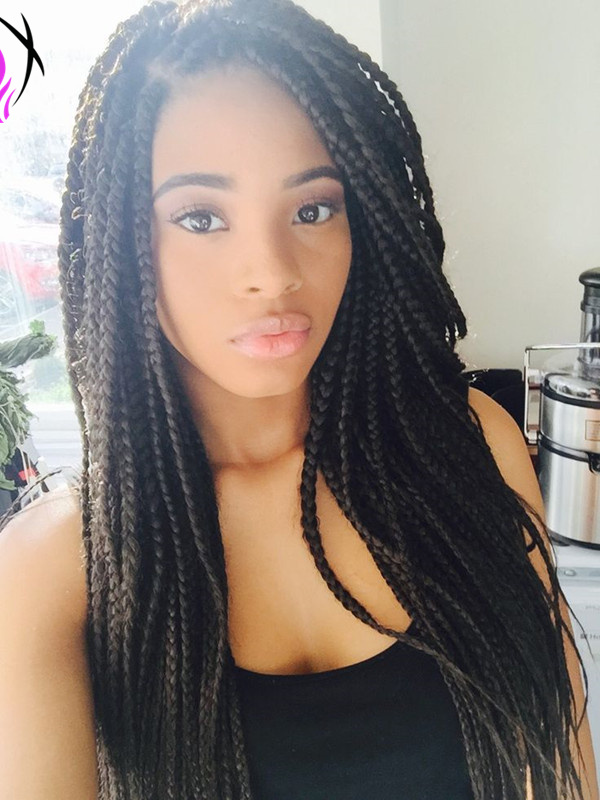 Among natural hairstyles for African American women, box braided options make great protective hairstyles to let your hair have a rest, grow out freely and not get polluted in the present environmental conditions. So keeping in mind these advantages, you are sure to want them right away.